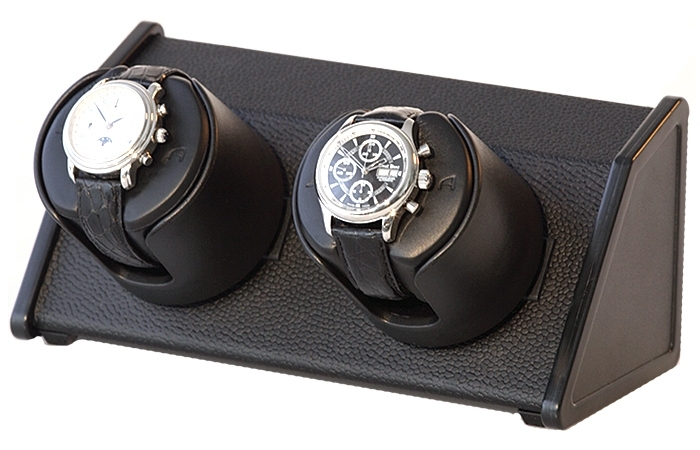 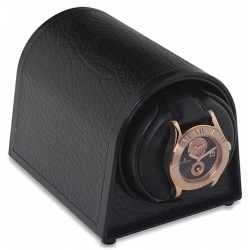 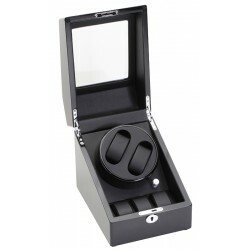 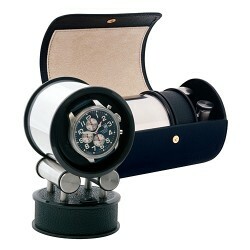 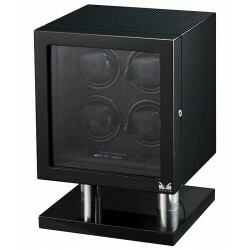 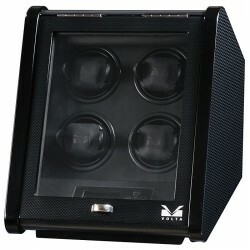 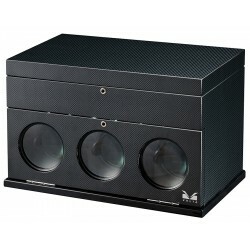 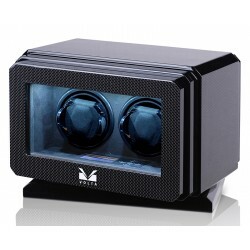 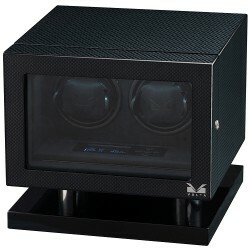 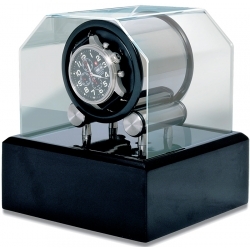 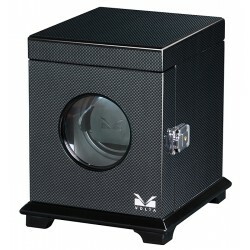 Black leatherette double automatic watch winder W05570 is a part of Sparta Open line, produced by Orbita Corporation. 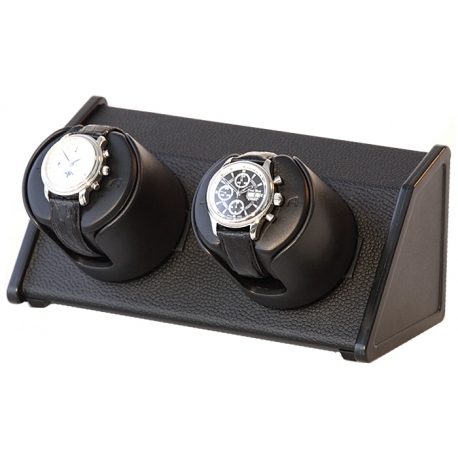 This is a perfect choice for two automatic timepieces. 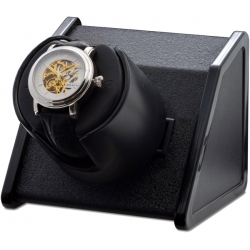 It is designed to successfully wind virtually every automatic mechanical timepiece. 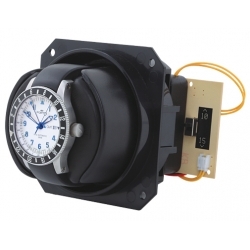 The winder is employed with high-quality and ultra silent motor that uses patented rotorwind winding technology. 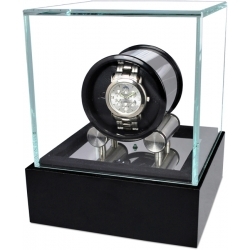 It is powered with long-lasting lithium batteries that guaranteed to work up to for 5 years. 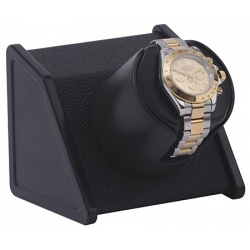 Buy online at 24diamonds.com, official dealer of Orbita brand, and you will get 1-year factory warranty as well as professional after-warranty service for every watch accessory. 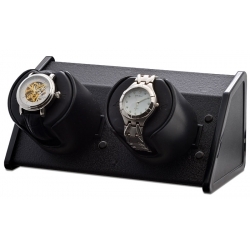 Please check other double watch winders.